*LED颜色以实物颜色为准。 The color of LED on picture is for reference only, goods in kind prevail. 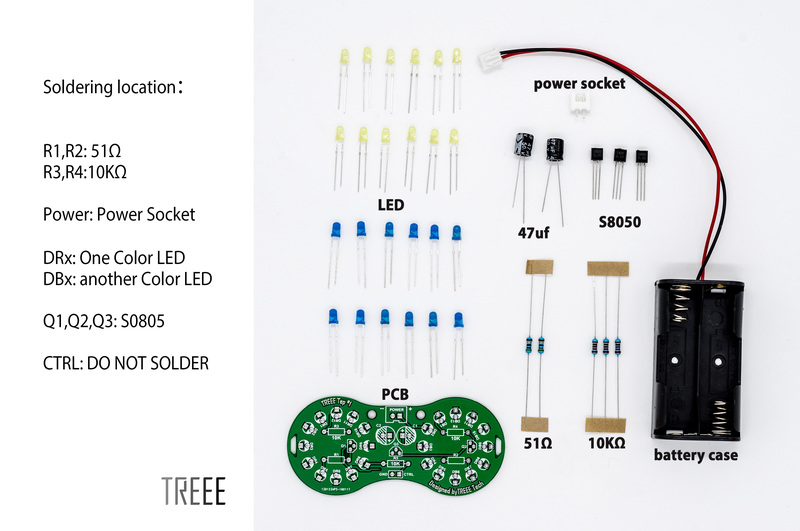 *LED 一边只焊一种颜色。 The same side solder the same color LED. 1.LED一边只焊一种颜色。The same side solder the same color LED. 2.LED的正负极对准，PCB板上白色的标注为负极。Check the positive and negative carefully, white color means negative on PCB. 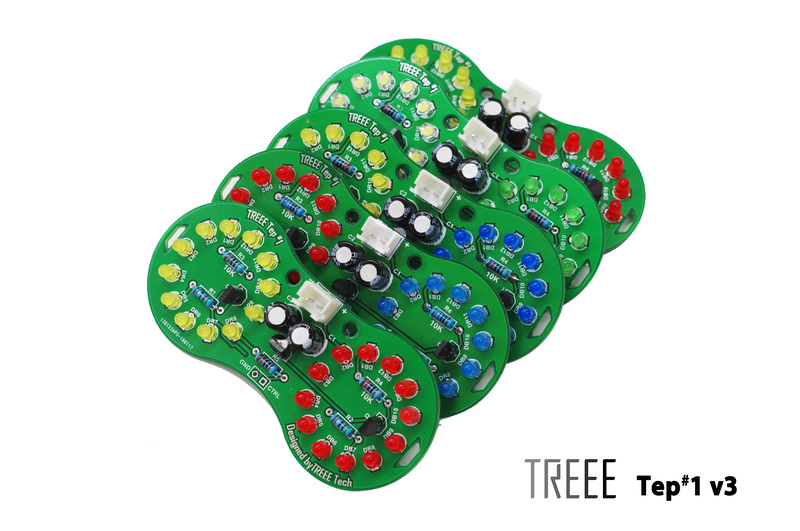 3.每个焊点焊接时间不宜过长。 The soldering time of each pad should not too long. 4.焊接过程中观察是否为虚焊。 In the process of soldering, pay attention to faulty soldering. 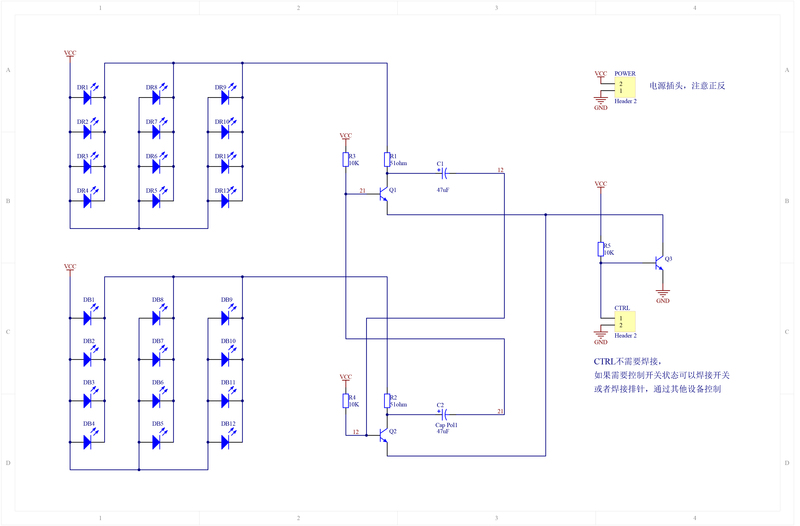 5.初学者每次只焊一个元器件。It is recommended that novices only solder one component for each step.